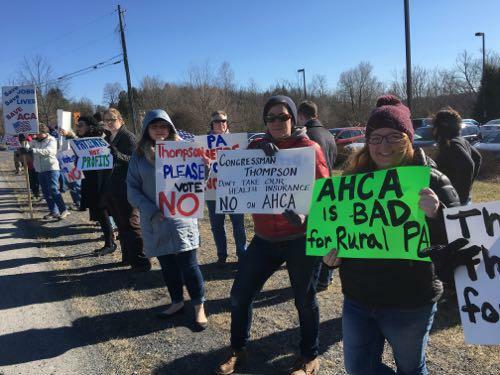 The upcoming vote on the GOP health care bill, known as the American Health Care Act, or AHCA, inspired a group of about 35 citizens to gather outside 5th district Congressman Glenn Thompson’s office in Bellefonte on Wednesday afternoon. They held a variety of homemade signs designed to send a single message: "Vote No." Psychologist Theresa Welch of Bellefonte said she's concerned about the effect the bill will have on her clients, especially the working poor. The Republican health care bill under consideration in the House of Representatives would change health coverage for a lot of people. It would no longer require that Americans buy health insurance, for instance, and it would eliminate current subsidies, replacing them with a fixed refundable tax credit. 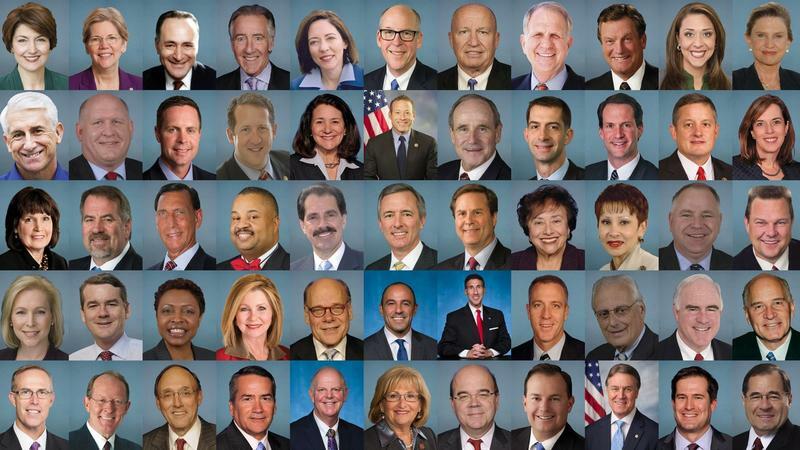 To help Americans understand where Congress stands on the debate over this legislation, NPR and Member stations around the country have compiled a database of Congressional members’ positions on the bill.